One of NTV most popular news anchor Victoria Rubadiri has opened up on how falling pregnant at 18 made her desperate and left her thinking of procuring an abortion. In a wide-ranging interview appearing in the March edition of True Love magazine, Vicky talks of her devastation and desperation after discovering the unplanned pregnancy. Vicky got pregnant while studying journalism at Temple University in the United States where her family was living. In the interview, she reveals how she resolved to procure an abortion because it was the only solution she had in mind at the time. “I felt I had no choice but to terminate the pregnancy,” she stated. In a separate interview with Nairobi News, Vicky said she chose to share her story in the magazine to further her ambition of reaching out to more affected youths. “I have been severally invited to speak in churches and institutions where I always share my story to encourage a young person whose life has taken an unexpected turn,” said Vicky. She added that the decision to open up was aimed at being able to reach out to more young people. “It was a scary experience to find out I was pregnant, and the hardest part was to let my parents know since I never wanted them to go through that,” she told Nairobi News. When she confessed, the news presenter’s father ruled out the abortion and her entire family helped her through it. Vicky’s daughter is now ten years old. She added that the decision to open up her world was aimed at being able to reach out to more young people. Vicky’s family moved back to Kenya in 2010, a year after she had graduated, and she stayed with them while trying to find a job. “I needed to work so that I could support my daughter, my family was helping us but I still needed to take up the responsibility of fending for her,” she told Nairobi News. 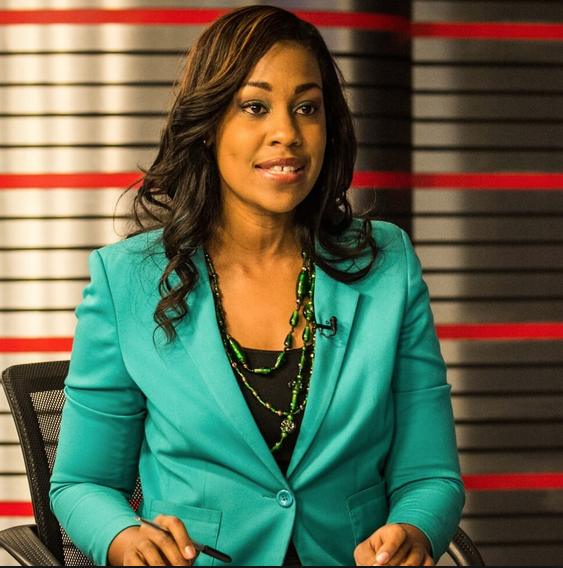 Vicky got her first job in Kenya at Capital FM and later progressed to become a news anchor and reporter at NTV. She now mentors young people on how to face their challenges.